Pioneers in the industry, we offer lcd speaker oem 30x125, lcd speaker oem 35x110, lcd speaker oem 40x70, lcd speaker oem 31x130 and lcd speaker oem 30x90 from India. ATI Pro Audio is a well-known Trader, Wholesaler, Importer, and Exporter of LCD Speaker OEM 30X125. 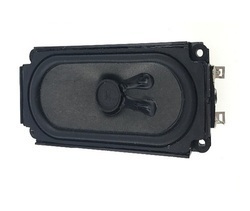 ATI Pro Audio is a well-known Trader, Wholesaler, Importer, and Exporter of LCD Speaker OEM 35X110. ATI Pro Audio is a well-known Trader, Wholesaler, Importer, and Exporter of LCD Speaker OEM 40X70. ATI Pro Audio is a well-known Trader, Wholesaler, Importer, and Exporter of LCD Speaker OEM 31X130. ATI Pro Audio is a well-known Trader, Wholesaler, Importer, and Exporter of LCD Speaker OEM 30X90.